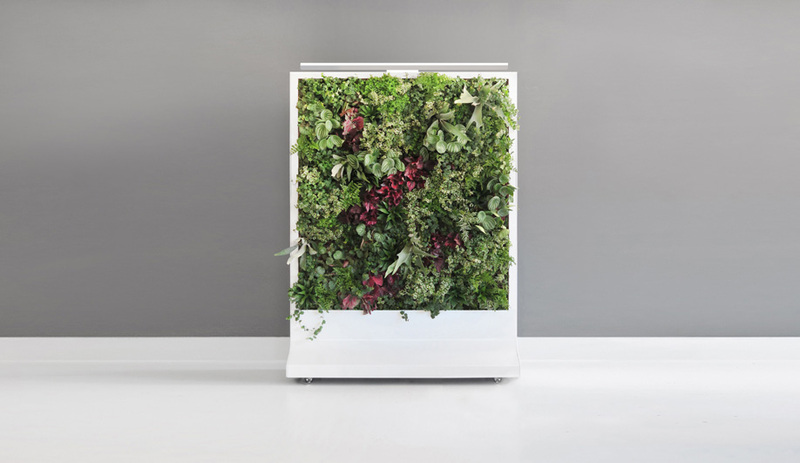 Last week, the Merchandise Mart in Chicago was packed with eager NeoCon show-goers – and a bevy of product launches, by such manufacturers as Arper, Haworth and Teknion, that blur the line between laid-back residential furniture and high-tech office pieces. 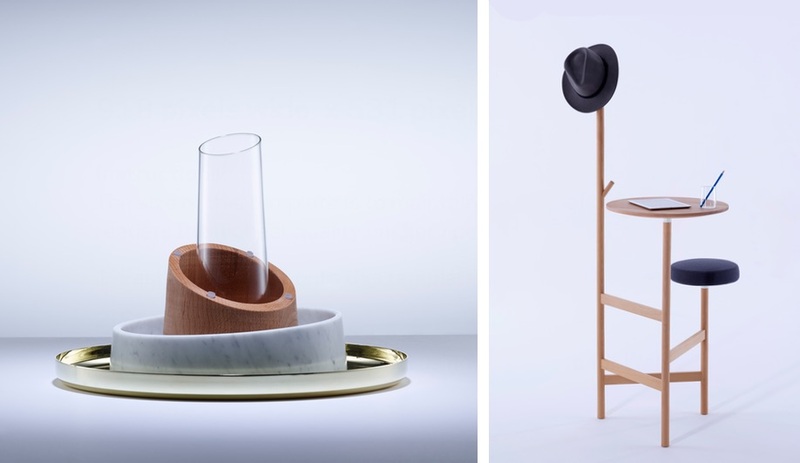 “This is the furniture I grew up with,” says Dutch designer Wout Speyers of his Chaval collection. It takes its inspiration from the Dutch-style lounge furniture of the 1950s, which was defined by a lack of materials after World War II. 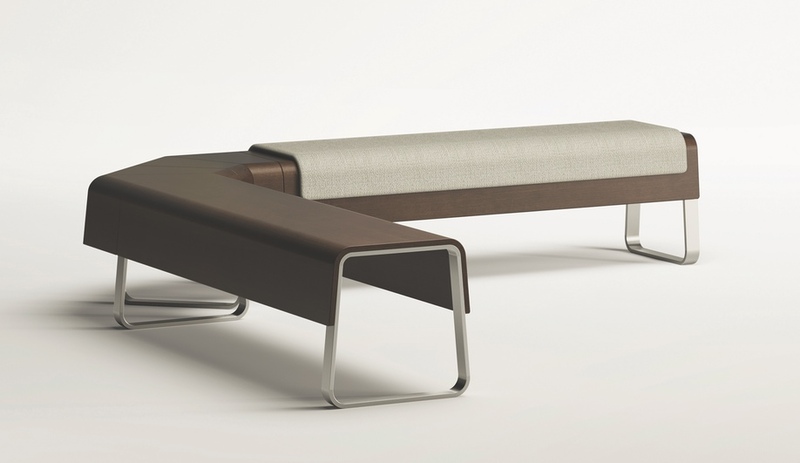 The modular seating in ash wood and polished aluminum comes in four sizes (50 centimetres, one metre and 1.5 metre long versions and a corner unit) that can be specified with cushions and tables to accommodate myriad applications. 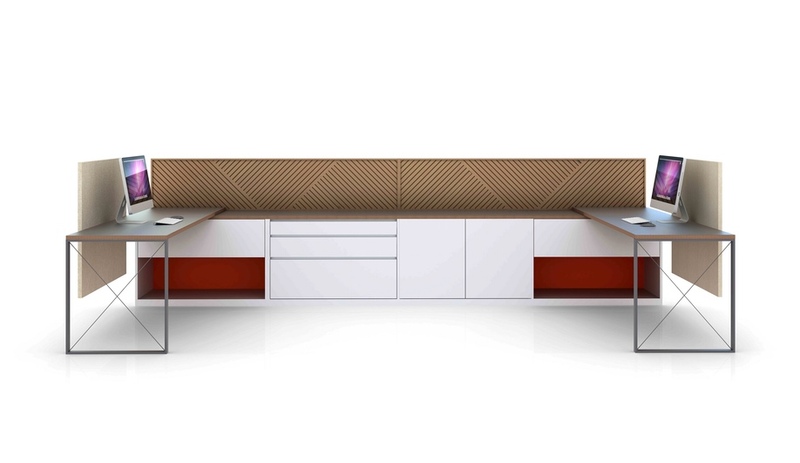 Guests to Teknion’s booth were greeted by PearsonLloyd’s conceptual line of decidedly un-officelike office furniture. The coat rack, love seat and table, as well as desktop organization and containers, are at once ultra minimal and retro-chic, thanks to the use of beechwood in clean, crisp lines and accents in glass, metal and marble. Rotary phones and typewriters lacquered in seafoam green and orange set the tone at Haworth’s sprawling booth, and emphasized the theme of getting back to basics. The Poppy chair by Patricia Urquiola fits into that mantra: it has the soft, inviting shape, texture and softness of a residential sofa, and is designed according to the simple idea that a comfortable worker is an efficient worker. 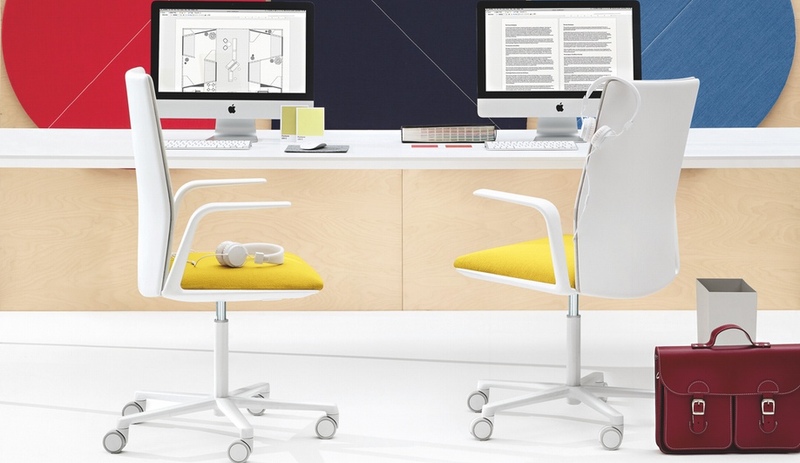 You don’t get the best ergonomics with a chair that looks like a cockpit: that’s the argument behind Arper’s first office chair, Kinesit by Lievore Altherr Molina – which just won an AZ Award. Even up close, it’s hard to see the mechanisms under the seat and in the polypropylene back frame that adjust height and change lumbar support (adjustable arm rests are optional). 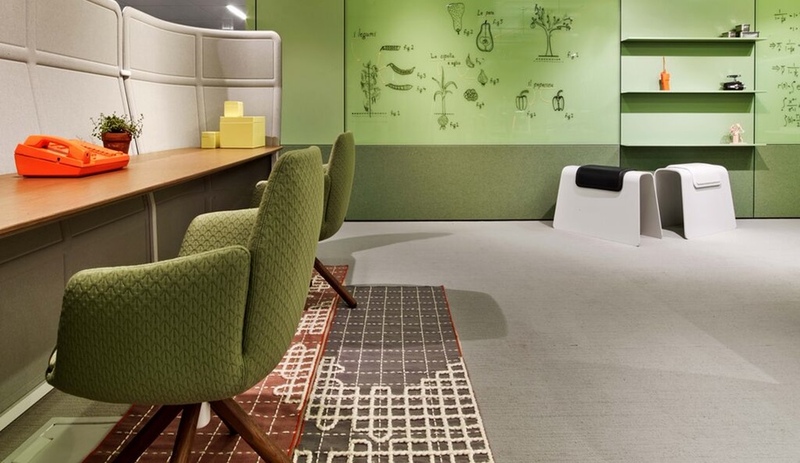 Home décor brand West Elm paired up with Inscape to design a collection that merges corporate pragmatism with comfy home feel – resulting in a NeoCon booth that was jammed from start to finish. “How can you create a community environment within an office?” said West Elm president Jim Brett. 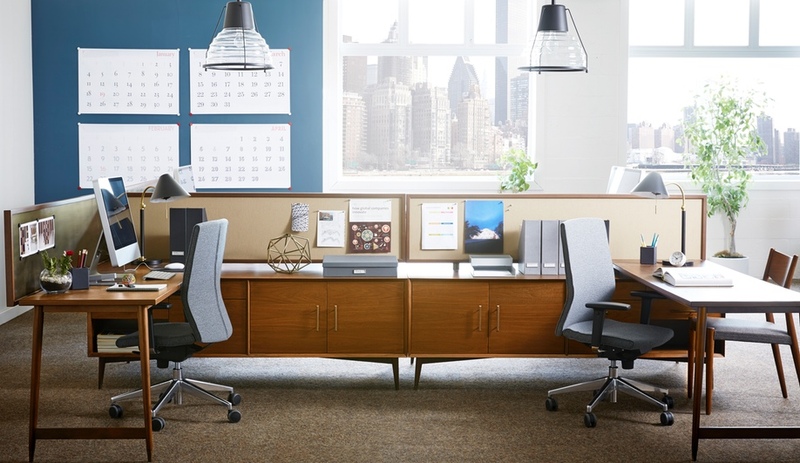 “Work with a residential brand.” The line comes in three styles – modern, industrial and mid-century modern – that are designed to co-exist within an office space while giving each worker an individual identity. 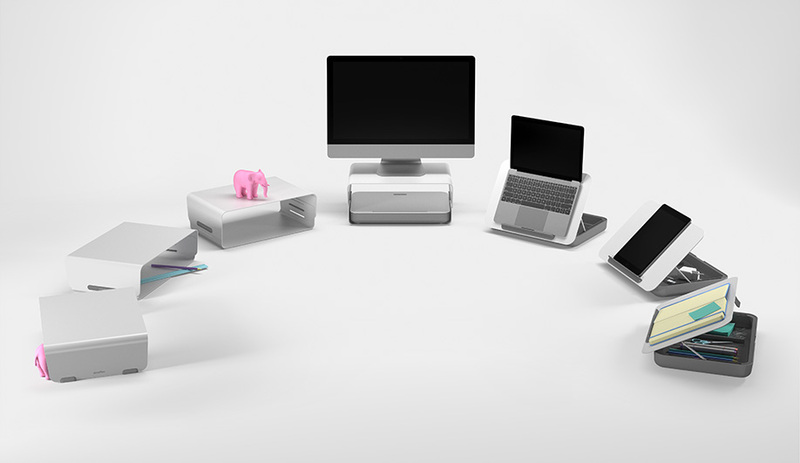 It’s not always easy to know how to use furniture in an office setting – workers don’t want to be the one to break a table leg or scrape the floors. 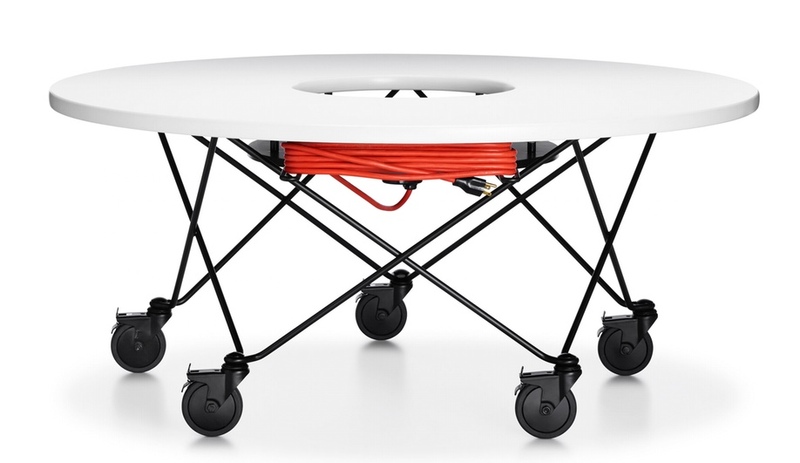 But Keilhauer’s new Wheels collection with EOOS is designed to “communicate mobility.” The simple yet sculptural seven-piece system has oversized wheels to move around with ease – the tables even have simple extension cords to bring power anywhere. Plus, as was the case all over the NeoCon show floor, some of the pieces are intended to work just as well in a open-concept home setting, like a loft. 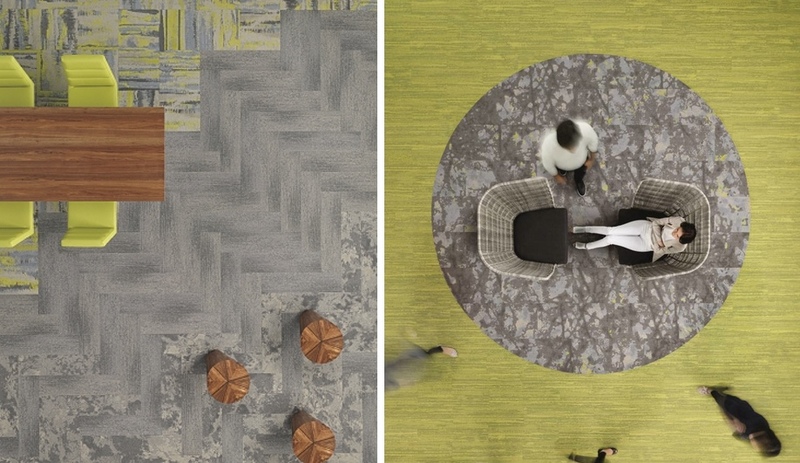 Among the floorcovering manufacturer’s launches was The Park, which theorizes that we feel calm and happy in natural settings so if design can bring even a part of that feeling into the office space, it will “redefine boundaries, enhance our mood and open our minds.” Even the product names are enticing – Drift, for example evokes bark, Explore is inspired by stone and Reflect evokes the effect of looking at the sky from under a tree. 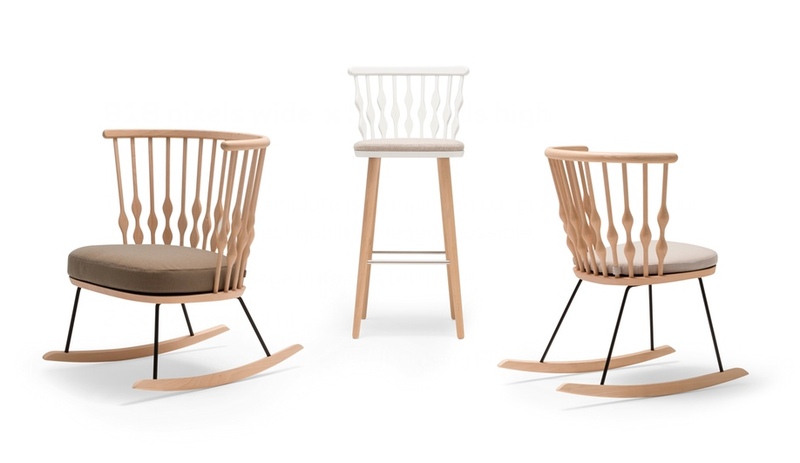 Rocking chairs had their moment at the Andreu World booth, with several existing designs now available with a curved base, which the brand argued was ideal for both residential and contract settings. Patricia Urquiola’s Nub collection, for example, is now available in armchair and lounge versions with a beechwood rocking base. 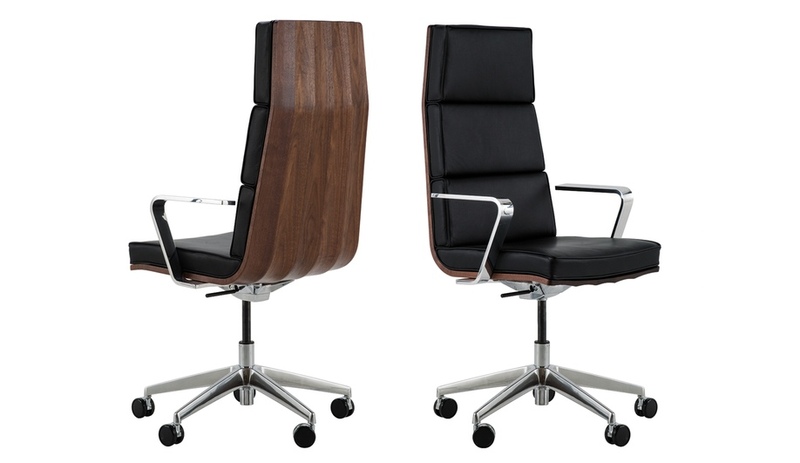 “It’s a balance between high-tech and low tech – and it looks like that,” said director of design and product development Adam Rogers of the Cooper Chair by designer Brian Kane. It gets its name from the steam-bent solid hardwood beams that are coopered and joined (by hand in Maine) to form the sinuous backrest. Making its American debut, the Tjep.Cubism collection by Dutch designer Frank Tjepkema of Tjep includes wallcoverings, an upholstery fabric, and sheer drape all featuring motifs inspired by the cube. 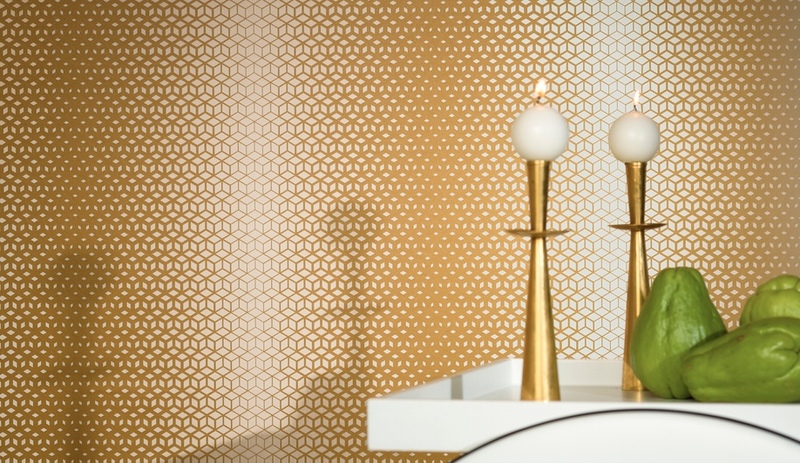 Baroque, for example, is a digitally printed wall treatment (available in custom colourways) that takes the damask look to angular directions.